As we head into July, this week's news includes the new Porsche Panamera, a limited edition Ford GT, and the rebirth of the iconic Toyota Supra! Woohoo! The new Ford GT supercar launches next year and will be joined by a limited edition variant for the first year of production. 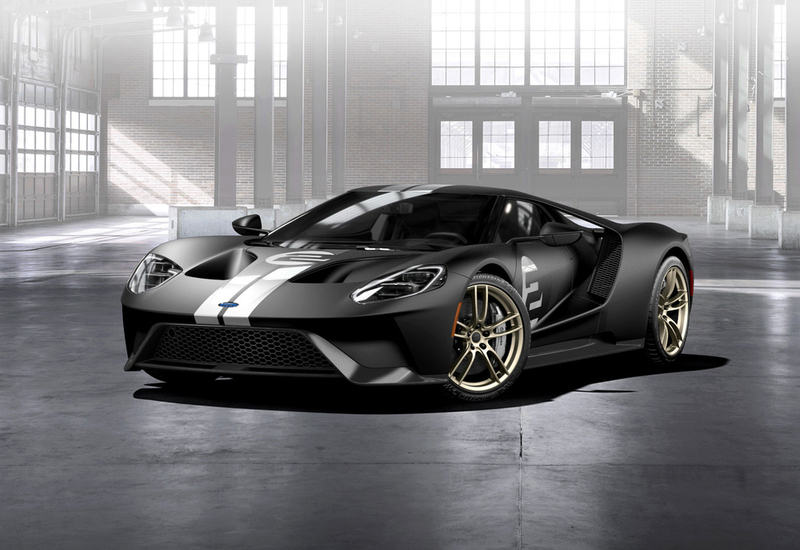 Introducing the Ford GT '66 Heritage Edition. This limited-production supercar pays tribute to the Ford GT40 Mk 2 that won Le Mans in 1966 and does so in more ways than just its name. The first noticeable comparison is the same livery of shadow black paintwork accompanied by silver stripes and number two graphics. The look is then completed by the inclusion of satin gold 20-inch forged aluminium wheels. Inside you'll find more modifications, including ebony leather which decorates the carbon fibre seats, instrument panel, windscreen pillars and interior roof. There's also a leather steering wheel and seatbelt, some subtle gold accents on the shift paddles and instrumental paddle, and a load of other small changes. No price is known as of yet, but the car is available to order ahead of the car's launch next year. 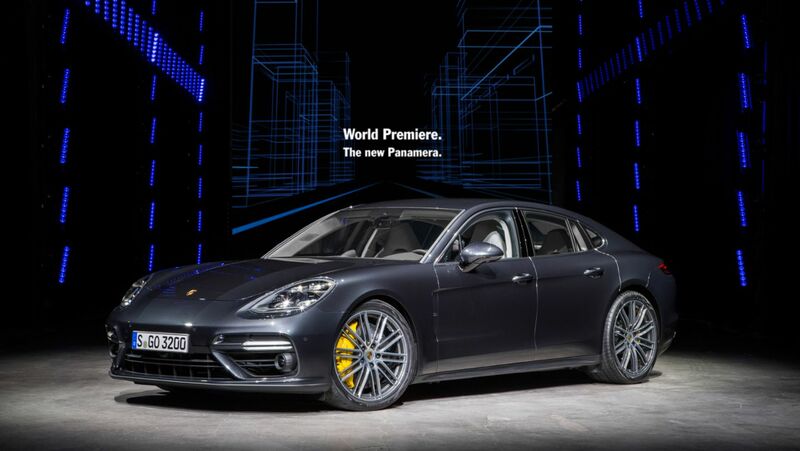 Porsche have officially pulled the covers off their second-generation Panamera at a special event in Berlin. The first-generation Panamera launched in 2009 and after a solid seven years of production, the German manufacturer are now giving us this second-generation model. As you'd expect, the new model shares a lot of similarities to its predecessor, but sports a far-more aggressive look and an overall larger size giving it even more presence on the road. Larger air intakes, a completely new grille, new wing, full-width rear LED lights and chunky exhaust pipes all contribute to its beefier styling. There's a whole host of engine options too, with both V6 and V8 options available in a choice of diesel or petrol - we recommend the 542 bhp 4.0-litre V8 of course! The new Panamera starts at £88,700, with the first models available from November. The successor to the BMW Z4 has been spotted undergoing testing in and around in Germany. In typical fashion, the car is sporting the camouflage disguise to help hide its new design. Regardless though, you can still make out the familiar shape you'd expect from a Z-series model; with a long bonnet, set-back cabin and short rear-end. New changes however include larger kidney grilles and a soft fabric hood - indicating that they're ditching the metal folding roof on the existing Z4. Rumours suggest that the car won't even be named a Z4, and will in fact adopt a new Z5 gameplay instead. Whilst the Z5 may be a BMW, the car is actually being developed with Toyota, with the Japanese brand looking to use the base of it to develop their own sports car. For now though, news is scarce, so we'll have to wait for more leading up to its release in late 2017. BMW look set to release a facelifted version of their 4 Series Gran Coupe after the car was spied out and about. Whilst the car was seen sporting the usual camouflage you'd expect, it is only used sparingly, suggesting that the changes that will arrive will be minimal. The photos seem to suggest that the focus has been on the front and rear bumpers and lights, with reshape air intakes, updated headlights and a modified rear bumper that you'd expect mirror the changes its 3 Series sibling received. Should that be the case, you'd also imagine the facelift will come with the same range of engines that the 2015 3 Series offers, including the same 320 bhp 3.0-litre turbo straight-six found in the 340i. The latest 4 Series Gran Coupe is expected to be announced over the next few months with it then arriving in the first half of next year, so we'll be sure to keep you updated as and when we know more! And the best news for last - a new Toyota Supra finally looks set to be released! As we discussed above, Toyota are working with BMW on the Z4 replacement with the idea they can use the same chassis and powertrains available to produce their own new sports car. Whilst some may doubt it'll be used towards a new Supra, the news that Toyota have recently made trademark applications in both Europe and America for the very same name suggests otherwise. The Toyota FT-1 coupe concept car was shown off at the Detroit Motor Show in 2014 and is likely to be the basis of the new Supra. However despite it sharing a lot of technology with the new Z4, it is expected to be a lot larger to allow it to sit above their current GT86 model. A new Toyota Supra with BMW technology? Seems like the sort of stuff petrolheads dream of! We look forward to seeing more on the car as momentum builds up to its launch in 2018.